A Theology Lesson from Minister Mom! I write extensively on the importance of moms knowing right theology and being students of the Word for themselves. Sometimes, however, the consensus from moms seems to be that they don't know how to be theologians; they don't know where to start or what that would look like in the midst of their busy lives. 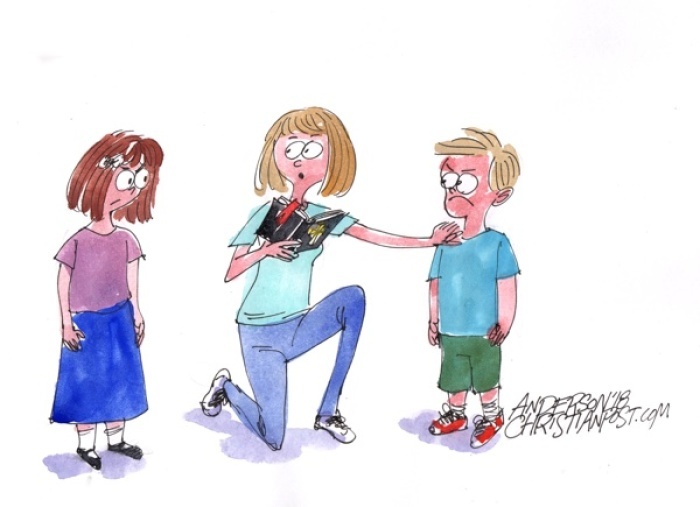 But the truth of the matter is this: moms already are theologians. Everyone is! Your theology refers to what you believe about God. Whether you are an atheist who doesn't believe in the existence of God at all or a seminary professor teaching God's truth at a deep and profound level, you are a theologian.